A security feature in Yahoo Mail prevents images from loading on certain messages. 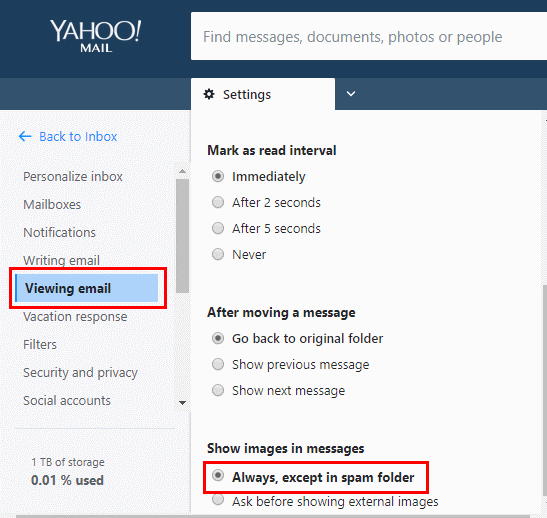 You can choose to show or hide images within email message by making a change in Yahoo Mail settings. Just use these steps. Select “Settings” on the far right side of the screen. Select “More settings” at the bottom. Select “Security and Privacy” in the left pane. Change the “Viewing Email” option to “Always, except in Spam folder“. I changed this setting, but I still can’t see images in Yahoo Mail. Why? Browser Plugin or extension blocking. Try disabling any that may be causing the issue. Browser cache needs to be cleared. I enabled images to display, but my photo attachments aren’t showing up large on the page and I have to click them to view them. What’s the deal? Embedded images will show large and as part of the email message. Attachments will only display as a thumbnail and will not be included in the body of the message. I’m using the mobile version of the Yahoo Mail website. Where is this option? Yahoo appears to have left this option off of the mobile version of their site. View the desktop version if possible to access this setting. Does this setting have any effect on the Android the app? It doesn’t appear to. 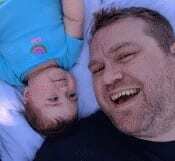 Images always seem to display in the Android app independent of this setting. 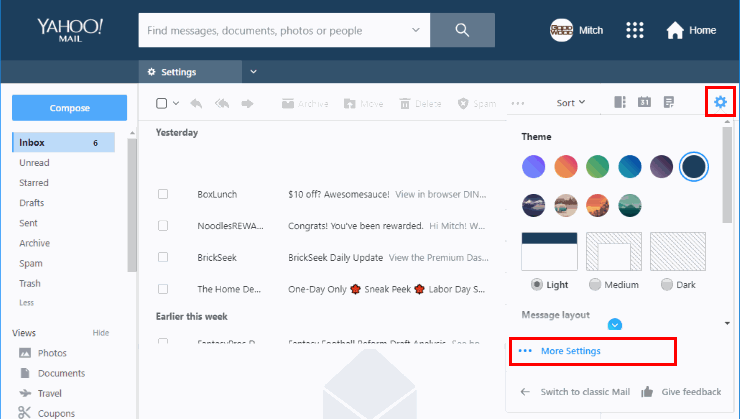 There is a separate setting within the app under “Settings > “General Settings” called “Message Thumbnails – Display photos in messages”, but that only controls whether or not thumbnails for image attachments are displayed in your Inbox. When viewing email, how do you set it up so attached pictures show up as attachments and not in the body of the email? I have done this to my setting but yet the pictures are still not showing in my android Yahoo mail app. Plz help! No. I have a really old photo from over 10 years ago of my daughter with a celebrity that still shows up in emails. I’ve up-dated it MANY times since then in the yahoo mail account itself on the upper right corner, in google, etc. I want the old pic to go away and the new one to show. This is crazy! HELP!! Friend sent holiday photos. I clicked to show photos and nothing! Now the attachment won’t even respond! THIS IS MADDENING. Can anyone help? I had all the above already set OK.
My problem is with BT Yahoo Mail messages containing images not displaying on my stock Samsung Mail App on my Galaxy Note 8. Please give me the ability to set the same settings for my e-mail account on my phone. FINALLY!!! All of a sudden I can now see embedded images in my yahoo email. I was changing my email delivery to gmail since Yahoo can’t get it right! But I’ll keep some emails with yahoo for now until it happens again update more email deliveries at that time. When I receive an email with several photo attachments,only one of the photos is downloadable. i.e. if email shows there are 5 attachments, each of the 5 attachments has the same photo in it , instead of 5 different photos. This problem only occurs on my android tablet. It does not happen on my smartphone or laptop.It has been occuring for several weeks. Glad someone was able to resolve a Yahoo issue. For months I have been unable to attach short videos to outgoing messages, always comes back with ” file too big” even though video may only be 10 seconds. It used to work, then suddenly not. This didn’t help for me, was maybe one of the first things I tried. I’ve tried everything, it didn’t work on PC, Mac, android tablet or mobile or on apple phone. Yesterday, it resolved itself, I now can see images in Yahoo Mail.. I had to go into “Viewing email” to find the “Show images in messages” in order to shut off the images. Not seen images in Yahoo email for over 1 month now. 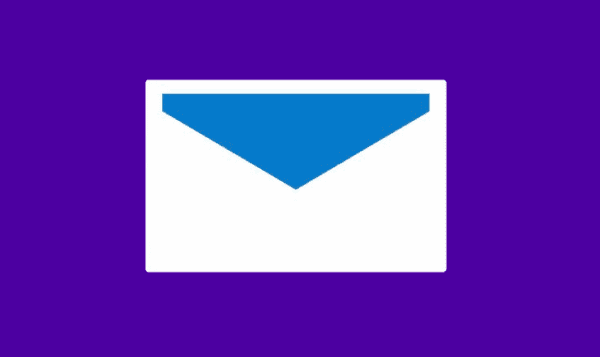 Does Yahoo want people to stop using their mail service?